Virtually indestructible hard case body. Detachable daypack. Use them independently or zipped together. Robust, abrasion resistant yet lightweight NT Fabric (combination of Nylon and reinforced Polyester PVC with Polyester piping), featuring coil zippers with customized SCUBAPRO pullers. Polyester thread: extremely resistant against salt water and traction. 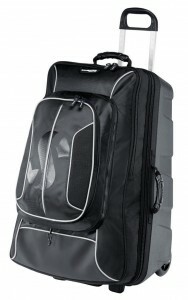 All main compartments feature double zipper sliders to enable the use of a locking system. All wheeler models are equipped with salt water resistant in-line wheels and stainless steel wheel shafts. Exclusive SCUBAPRO rubber ergonomic handles for comfort, complementing our unique modern bag design. 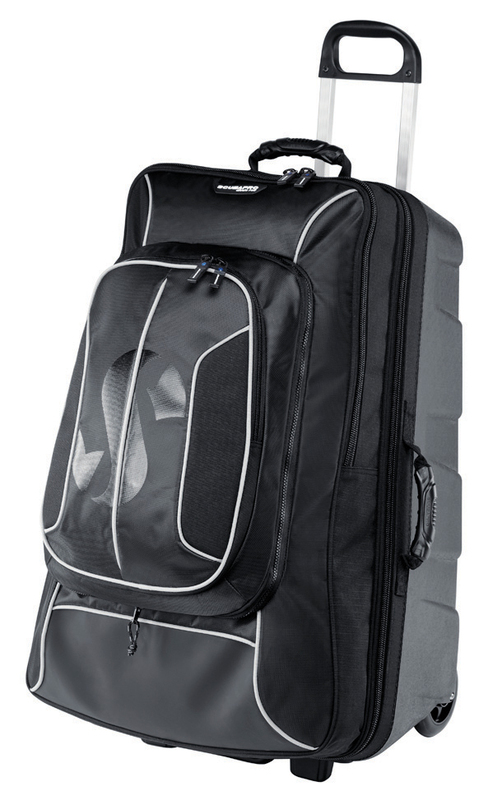 Padded straps and water resistant polyester webbing for complete carrying ease. Removable ID Card Holder for quick bag identification when traveling.